Blade watched as TJ lurched sideways, spinning in a grotesque pirouette as the bullet took him high in the shoulder. “SHITASS IDIOTIC DUMBJIZZ ASSHAT!” She dropped to her back, and aimed her heel at the shooter. He stood partially covered behind a cream-colored Cadillac. The high powered rifle nestled against his shoulder in a classic upright stance. He saw her movement and dropped behind the car, rolling away as fast as he could. Blade pulled a break dance move, swiveling up and back to her feet. She ran as fast as her bare foot and booted one would let her. The guards slowly advanced, weapons out. The nearest one had a nameplate Blade could barely make out. ‘Hanson’ was spelled out in white against the black of the badge. The huge four limbed star that made up the Dayner logo on his left chest below the badge. She held one hand up, the other resting firmly on the bleeding gunshot wound of her partner. “On the ground, face down. Spread your arms and legs wide.” ‘Hanson’ punctuated his commands with an aggressive pointing of his rifle at Blade. She lowered herself slowly to the ground spreading her limbs out as the guard asked. One of the other guards stepped forward and put a heavy knee between her shoulder blades. He pulled both arms back, and placed a zip strip around her wrists, locking her arms behind her. Another guard flipped her partner over with a boot. He groaned painfully as he was rolled to his stomach, his long brown trench coat spattered and soaked with blood. “Some professionals. First sign of blood and they quit. Spuds.” The speaker laughed harshly and another voice Blade could hear joined in. What’s next? Will we be turned over, or tortured and killed, or just killed? I don’t like the odds, but keeping him alive was more important. We were screwed the minute he got shot. They were waiting for us. To get in place they had to have advance warning we were coming, or we got spotted right off the get-go. I didn’t see any spotters, my sniffers didn’t spot any active surveillance. I didn’t miss anything. We had to be set up. Why though? Why us? Here is the second half of my interview with Steven Radecki, the author of ‘Building Baby Brother’. Here’s a question about choosing a topic to write about. Do you feel that a story needs to have relevance in society? I think that having some kind of social relevance helps to deepen a story. The trick, though, is to do it in such a way that it doesn’t feel preachy or pedantic to the reader. That can turn them off to the message (and story!) very quickly. Comics are used at times to offer controversial subjects in stories. In ‘Civil War’, the idea of registration comes up. Do you feel ‘Building Baby Brother’ has touched a subject that could become more important as robotics and Artificial Intelligence become more sophisticated? I think it raises the point that we probably need to re-examine our preconceptions about AI, much of which is driven by popular science fiction films, television, and literature. It’s been said that all great stories like BBB are built on previous works the writer had read. In that vein, who, influenced your vision of the story? There are several influences to this story, some of which are even subtly referenced during the course of the story. One of the inspirations that kept coming to my mind as I wrote and edited it was David Gerrold’s When Harlie was One. (I still prefer the original edition. Sorry, David.) Other conscious influences were the movie A.I. and, of course, Data from Star Trek: The Next Generation . I’m certain that there were many, many unconscious influences as well, such as Mycroft Holmes from The Moon is a Harsh Mistress , but none I specifically set out to emulate. 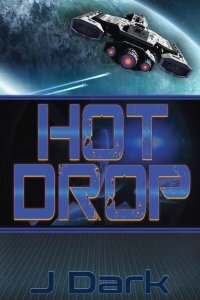 Were there any books that helped solidify your idea, or an author you enjoyed reading that might have given you ideas on style and presentation? As mentioned in my answer to your previous question, I think David Gerrold with When Harlie was One was a major influence, both thematically and stylistically. Finding the right voice for this story was definitely a challenge—and one of the reasons that I very rarely tell a story from a first-person point-of-view. I felt that this story, though, demanded a first-person narrative perspective. Other than that, I can’t say that any specific storytelling style influenced the one used in this story. I’m not saying that it isn’t there, just like that I don’t recall using any other author’s particular style as an inspiration or template. 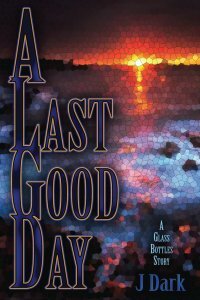 I’m J Dark, author of ‘Best Intentions’, book one of a series I’ve come to call ‘Glass Bottles’. I’m here to interview the author of a story I really have wanted to see in print since I first critiqued it. That story is ‘Building Baby Brother’ ( BBB ), by Steven Radecki. What we’re going to do today is a little Q&A about his story. This is a two-part series, with the second portion tomorrow. I’m really honored to be the one to do this interview. So to jump right in, thank you Steven for sharing your time with the readers. My first question is probably the one all authors get at least once every time your promoting a book. That question is: Where did you get the idea for BBB? To be honest, I don’t remember where the actual idea for the plot came from. The story itself started as part of an exercise that, well, kind of got out hand. My son’s charter had planned to sponsor an event to help foster reading and writing skills by asking students and willing family members to write a short story and then read it out loud at this event. Always willing to write, particularly for a good cause such as that one, I started pondering possible story ideas. I knew I wanted something kind of “Twilight Zone”-ish—something short, entertaining, but with a fun twist at the end. From there, the basic concept of the story was born. Every author develops their stories differently. In your case, did you create an outline first, or just choose a direction, or something else? I rarely work from an outline for a short story. They are usually based on some concept I want to explore and I kind of see where the characters involved take it. In case, since it was originally only supposed to be 2,000 words, I felt a full-fledged outline might be overkill. As a result, though, the last third or so of the story went a direction that surprised even me. No story ever flows smoothly as it’s created. What parts, or scenes were the hardest to develop? I always have trouble with the middle. They say that maintaining the story and pace in the second book of a trilogy is often difficult, and I think the same thing is true about the middle of any story. I usually know how to start my stories and have a pretty good idea how it will end either when I start it or before I get a quarter of the way through it. In this story, probably the most difficult scene was scene with the police because I needed something that would transition the story from its setup to exploring the implications of the actions performed in its first half. I had a really tough time coming up with a scene that would work that would get me to where I wanted the story to go. Another question I’m sure authors get asked all the time is, what made you decide to be a writer? With all the professions around, why get into writing? Why not? I’ve always wanted to create—whether it be writing or filmmaking. There’s immensely satisfying about “putting on a show” and presenting it to an audience. With writing, perhaps even more than with filmmaking, you can have full control over your production: all the way from set design, costuming, and casting. Of course, when you sell the movie rights, you tend to lose those. My last question for this series is, where and when do you like to write? I know that David Weber has said that he prefers the evenings, as it allows him to relax and concentrate. What are your favorite conditions for writing? Peace and quiet—and good luck getting that! My preferred writing environment is where were I’m unlikely to be interrupted. I prefer to be able to get mentally lost in the world that I’m writing about. I find that the characters tend to be more vivid in my mind and are more to behave as they should so that mostly all I have to do is transcribe as they take whatever action the story requires of them. I’ve written in a lot of places: home, work, coffee shops, libraries, airports, hotel rooms…I’m pretty good at tuning out external distractions. Still, a quiet environment is my preference. Also, I don’t write with music on in the background; I find it too distracting. A fiery crash ended a life today, one that had such promise. Drugs, rebellion, and anger tore it from that path. The woman stole a car, then tried to run away. The police didn’t let her go, and neither did her despair. The wreck killed her quickly, her body crushed beyond hope. The promise in young eyes is gone. The promise of youth is wasted. by the choices, and the cost of them. Get Kindle editions for 99¢! Buy the trade paperback edition of my books from Amazon.com and get the Kindle edition for only 99¢! Buy the Kindle edition of my books from Amazon.com and get the audio edition for only $1.99! 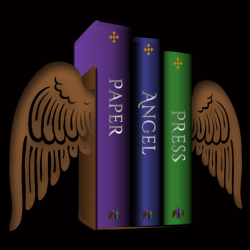 Use code TWENTY18 at checkout and save 20% when you buy printed editions of Paper Angel Press books on Lulu.com through Thursday, December 20th. Unless otherwise noted, the contents of this website are copyright © 2019 by J Dark. All rights reserved.